Xander Schauffele, a PGA rookie, won the Tour Championship at East Lake Golf Club by one stroke Sunday. ATLANTA — Xander Schauffele ended his rookie season by winning the Tour Championship. Justin Thomas ended the best season with the FedEx Cup. Schauffele, a 23-year-old from San Diego who was worried about keeping his PGA Tour card about three months ago, swirled in a 3-foot birdie putt on the final hole Sunday for a 2-under-par 68 and a one-shot victory over Thomas. He became the first PGA Tour rookie to win the Tour Championship since it began in 1987. Thomas never had more reason to celebrate finishing second. He capped off a season of five victories, including his first major at the PGA Championship, by claiming the FedEx Cup and its $10 million bonus. The surprise guest to the party was Schauffele. ‘‘It’s been a wild ride,’’ he said. It began with a tie for fifth in his US Open debut, and he followed that a month later by winning the Greenbrier Classic. He wouldn’t even have been at the Tour Championship until he played his final six holes in 6 under last week at Conway Farms to get into the top 30 in the FedEx Cup. And then he played like he belonged on such a big stage, especially on the back nine. Starting on the par-3 11th hole, he one-putted four straight greens from outside 6 feet — one of them for birdie, the rest for pars, all of them clutch. Thomas caught up with birdies on the 16th and 17th, but the PGA champion missed the fairway on the 567-yard closing hole and couldn’t reach the green in two. His 25-foot birdie putt snapped off to the left just in front of the cup. Schauffele saved par from right of the 17th green for the fourth time on the back nine, and then smashed a 347-yard tee shot on the 18th that left him an approach just short of the green. He putted that up to 3 feet and then nearly missed. The ball hit the left edge and swirled 270 degrees before dropping in the front. But it was enough to finish at 12-under 268, a victory worth $3.75 million, $2 million of that for finishing third in the FedEx Cup. He also moved to No. 32 in the world. Thomas was among the first to congratulate him outside the scoring room. ‘‘It was a grueling day for sure,’’ Thomas said. Thomas won more than the FedEx Cup. He also wrapped up the PGA of America’s points-based award for player of the year. He’s a lock to get the players’ vote as PGA Tour player of the year, and he won the Arnold Palmer Award for claiming the money title with more than $10 million. Thomas wrapped up the FedEx Cup when Spieth, the No. 1 seed, couldn’t sustain momentum after holing out from the 10th fairway for eagle and nearly holing out again from the 13th fairway. Spieth closed with a 67 and tied for seventh, earning a $3 million bonus for finishing second in the FedEx Cup. He had few regrets, not after a season in which his three victories included the British Open for the third leg of the career Grand Slam. 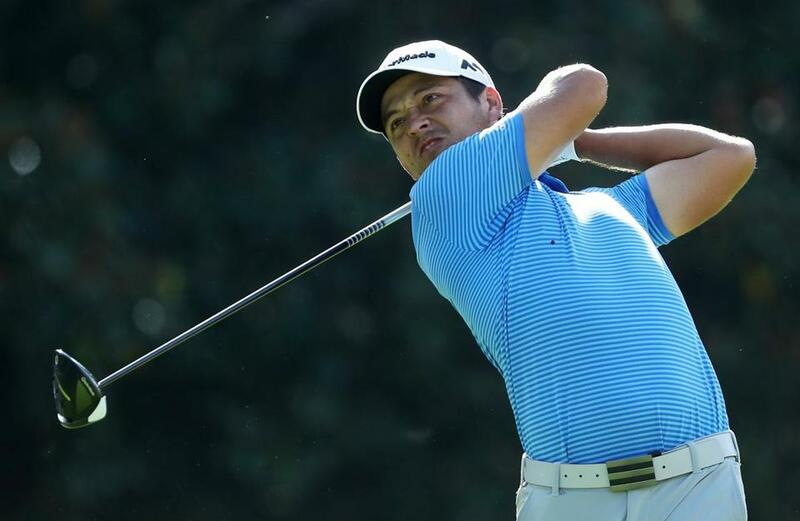 Thomas had the FedEx Cup wrapped up with two holes to play thanks to mistakes behind him.